Listen to the preaching wherever you are! 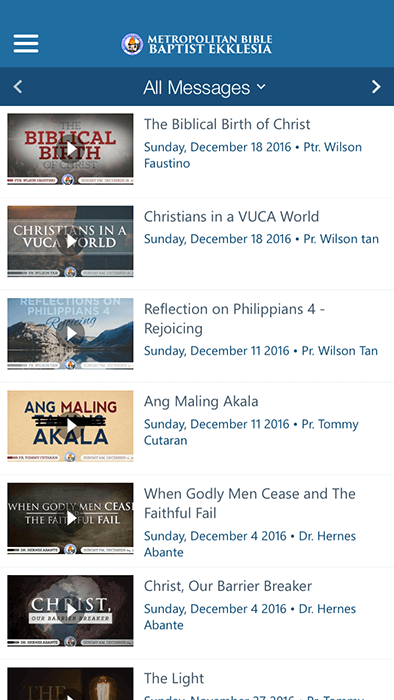 Watch recorded preachings of Dr. Benny M. Abante, Jr. and other pastors and preachers. Access to the recent Impact Lesson Series both video, audio and publications. 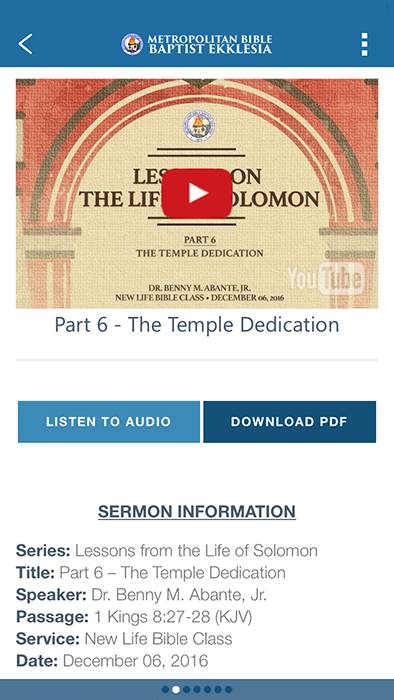 Listen to the audio version of the messages preached by pastors and preachers. 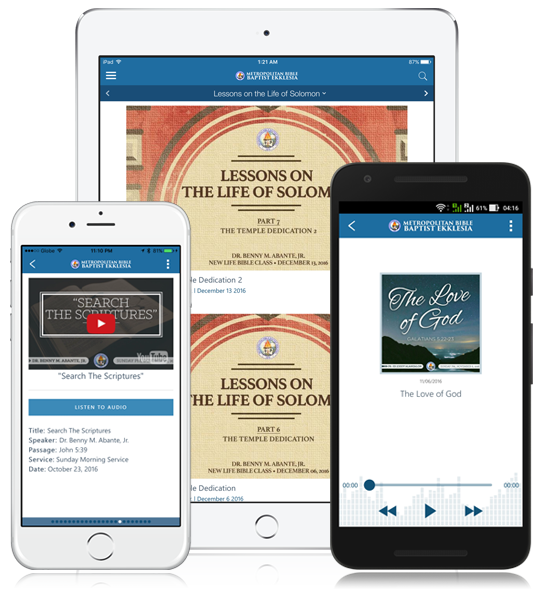 Download all the audio sermons for offline playback. 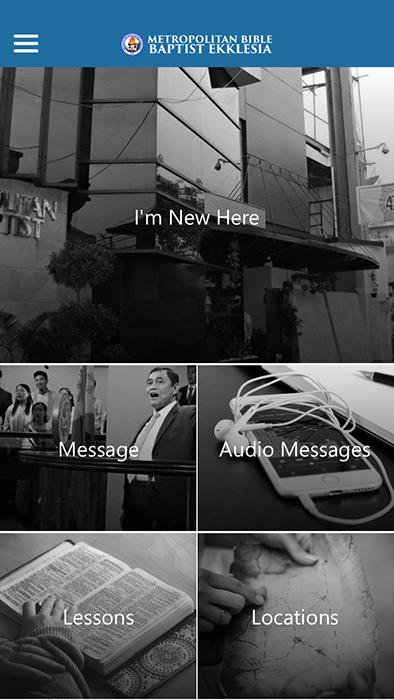 With this app, you can listen to podcasts, watch videos, do live streaming of services and become closer to our church with just a few clicks away! 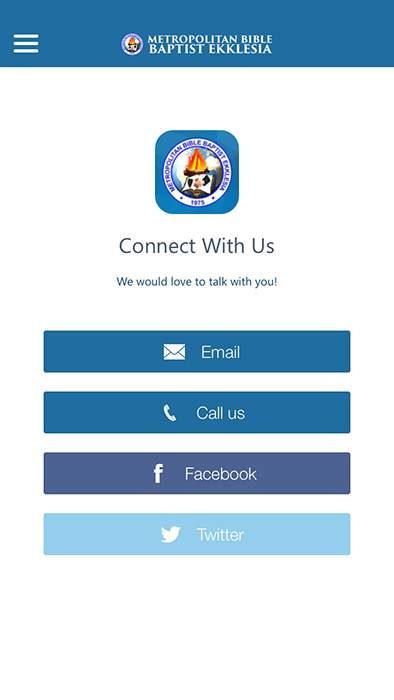 I consent to Metropolitan Bible Baptist Ekklesia collecting my details through this form.